You will Watch Action League Now!! Season 3 Episode 6 online for free episodes with HQ / high quality. Stream cartoons Action League Now!! Episode 32 Melty Dearest. Confusing a rare and deadly South American jumping spider egg with a ping pong ball, Meltman witnesses the spider’s hatching, and decides to act as a maternal figure for the arachnid. 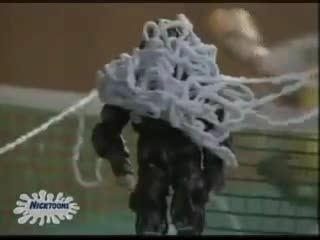 The spider begins to cause harm to the Action League, but Meltman isn’t ready to give up the fight against keeping it so easily. In the end, it’s up to the spider’s mother to confront Meltman and get her offspring back.